Gaby and Rafa are back!!! Last year I fell in love with the Rephaim and Pan Beach residents introduced in Paula Weston's Shadows. That tale was packed with action and building a fascinating world where the children of fallen angels fight to keep humans safe from demons. The best thing about the book is it was only the first. 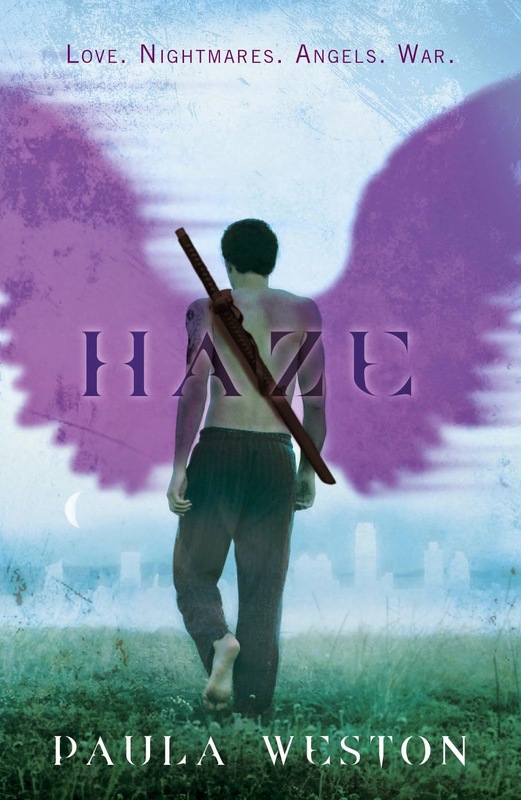 Now Haze is here to continue this story. Gaby's journey to unravel the web of deceit and false memories she has fallen into continues. The last memory she has of her brother Jude was of him dying in a car crash. But if the car crash wasn't real for her, maybe it wasn't for him either. In that case, where is her twin?? Luckily, Gaby has the mysterious and attractive Rafa to help her follow Jude's trail and introduce her to the other Rephaim, which might be the most difficult part- she steps right into a world fraught with tension and division and she doesn't know who is her friend and who is her enemy from her past life. How do you work beside others to kill demons when you can't even trust them? Gaby is lucky that she has her best friend from Pan Beach, Maggie, and she knows Maggie is true. Sadly, she knows Maggie has also been dragged into this demon war mess, and has to make sure Maggie is protected too. Gaby is such a great central character. Her disconnect between her current self and what people tell her about her past self, and especially her past morals, makes her vulnerable despite her physical strength, and without ever veering into whiny. Will she ever develop back into the Gabe who dated the arrogant Daniel? I hope not, I like to see her with Rafa, despite the fact that Rafa won't tell Gaby what was up with them before she landed in Pan Beach. One of the fun things the fabulous author, Paula Weston, did for the bloggers on the tour was to tell us which character matched our personality the most! I was afraid I would end up being Daniel, we both have a tendency to know what is best for everyone who is not ourselves. 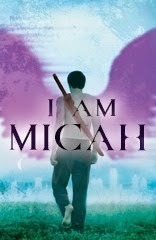 But I was so happy to find out that I am most like Micah! The easy going guitar playing half-angel was Gabe's best friend in the Sanctuary. He, Jude, Rafa, and Gabe were inseparable before Jude and Gabe disappeared. When Gaby comes back he is quick to reacquaint her with the other Rephaim, and tries to play peacemaker between the Sanctuary Rephaim and Rebel Rephaim. Micah is a stand-up guy and I hope to see more of him in Shimmer and Burn. This book ends on a cliffhanger, and I cannot wait to see how it is resolved. Shimmer comes out next autumn and I hope the time passes quickly before I am back in Gaby's world. Visit the other stops on the Haze tour today! Don't forget to check out the home of the Blog Tour at Tundra Press to see what other fabulous places Haze is visiting this week, where there will be giveaways, interviews, and more! I have had Shadows on my TBR list for a while, now I am even more anxious to read it now that Haze is out.